Figure 6-8. High pressure cylinder, piston, rod, and rings removal . 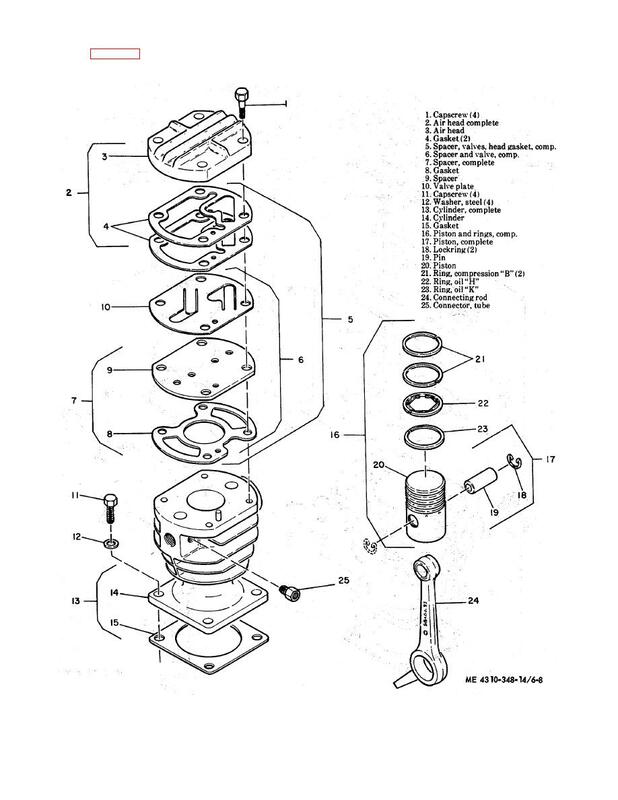 (4) Refer to figure 6-8 and remove the high pressure cylinder, piston, rod, and rings in numerical sequence.